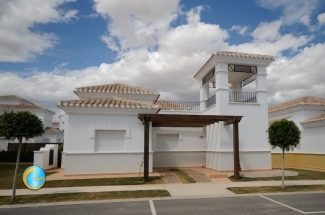 A lovely 3 bedroom detached villa, fully furnished for 6 persons, and walking distance to all the facilities on La Torre Golf (15 mins walk). 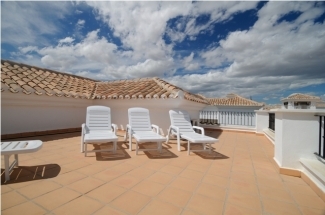 This villa is all on one level with ample roof terraces. Polaris World Resorts are unique in Spain, with a walled perimeter and a security gated entrance, manned 24 hours a day. They are exclusive resorts with numerous on site activities and facilities, something for everyone ensuring a perfect holiday for all. 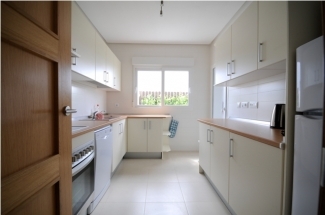 �15 mins from San Javier airport. 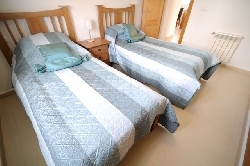 �60 mins from Alicante airport. 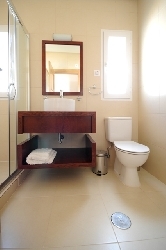 �20 mins from Murcia City. 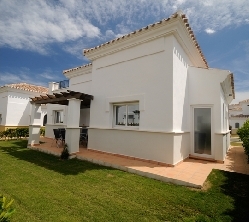 While staying in this property you will have unlimited use (no membership payable, but green fees must be paid)of not only La Torre's 18 hole golf course , but the golf courses on all the other Polaris resorts, all in close proximity, with courtesy buses running between the resorts. The Club house has a pro shop and bar/ restaurant with terraces overlooking the driving range, entertaining even if not a golfer.